WARNING: This is a super-secret post. If your name is James Bamford please look away…. ok, carry on. We all know how hard James Bamford works to make the stunts on our favourite TV shows spectacular. In addition he spends hours chatting to fans, answering questions, sharing behind the scenes photos and videos. We appreciate that, right? 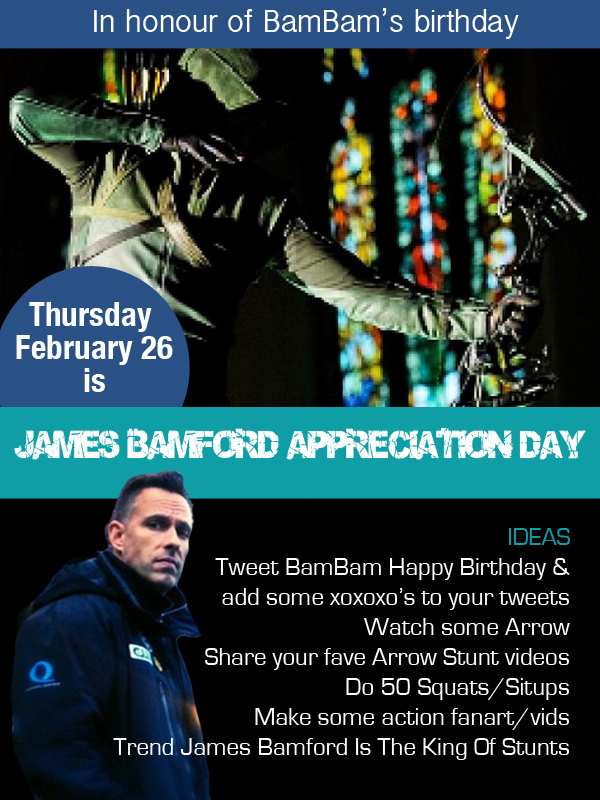 Well I’m declaring Thursday February 26 (BamBam’s birthday) as James Bamford Appreciation Day. Next Arrow vs Cupid… choreographed by Curtis!